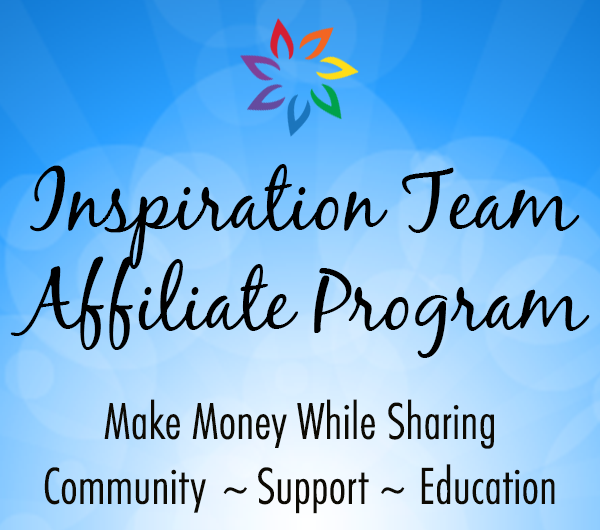 Share with others + make some cash by joining our Inspiration Team. 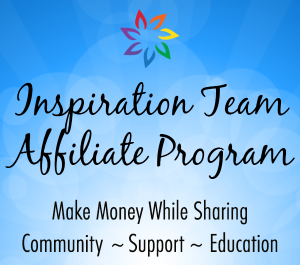 I love having you participate in my courses, challenges and other opportunities + I want to show you just how much by offering an affiliate program just for you. Imagine watching your favorite TV show or enjoying a glass of wine with your best friend and, all of a sudden, “you’ve got mail!” It’s just me, letting you know someone you shared an opportunity with has signed up and you’ll be getting some financial luv coming your way soon. You didn’t even have to do anything extra to get it! You were already sharing with others how much you love these courses and, now, you can make money for it! You’ll need an affiliate account. Once you create an account, you’ll receive an email with your unique link as well as additional resources. Be sure to keep this in a safe place for easy access. Here’s a link to the affiliate login page, once you’ve set up an account, just in case you need it. Once logged in, you’ll find links and other marketing materials under “Ads”. I recommend using a free link-shortening service such as bit.ly or Hootsuite. You’ll be notified when you make a sale. All commissions will be paid out via PayPal once a month. As an affiliate, you will begin to receive notices from Michele Bergh, Be Inspired Design + Be Inspired U, including special affiliate only emails. Please note: affiliate program is only available on our products listed here at this time. Share with your mailing list. Tweet. Share on Facebook. Tell your friends. Write a review on your blog. Sing it from the rooftop! And more than one time – the more you share, the more people will take notice. And remember to follow affiliate rules…always include something to let people know it’s an affiliate link and, when using on your website, you must include information about affiliate programs above any affiliate link you include…not sure what this means? Check out my blog posts and see how I’ve done it there. You’ll find posts that are already set up for you under the “Ads” tab when you log into your affiliate account using the link in the footer. More will be added soon. You’ll find badges under the “Ads” tab when you log into your affiliate account using the link in the footer. More will be added soon. The sky’s the limit! You will earn 50% of every sale made through your affiliate link. I just love to share the love and, I bet, you do too so let’s share together! I’ll share great content and service, you share with your peeps, and we all share in the prosperity! Sounds like a win-win for everyone. Can I earn money on my own sales? No, you will earn money only on sales from others that you refer to our courses. I thought I had more sales than what is showing in my account. Is there a reason I would lose credit for a sale? If you made a purchase and it’s showing in your account, this will be updated prior to pay out. Additionally, if there is a problem with someone’s payment or their sale is voided for any reason, we may need to make adjustments as well. Additionally, it has happened in the past where someone thought they used your link but may have followed someone else’s link prior to using yours and the first referrer will end up with the credit. What happens if someone makes a purchase that I referred but they didn’t use my link? Unfortunately, only sales made through your link can be considered. I see you have free opportunities listed…why should I promote those when I don’t earn anything from them? Hopefully, first and foremost, you are promoting because you love what we offer. In addition to that, you never know when someone will decide to buy so if you refer them to the site for something free, they are very likely to purchase something at the same time or even a while down the road and their visit through your link is saved for a short time so, if they make a purchase within that time, after you’ve referred them for any reason, you make money!